White tags placed next to artifacts discovered during the resuce excavation of the mound by archaeologists from the University of Missouri at Columbia. Photograph provided by Professor W. Raymond Wood. Colorized plan and profile of the Karr's Camp Mound, 23BE117. Adapted from Wood (1967: Figure 21). 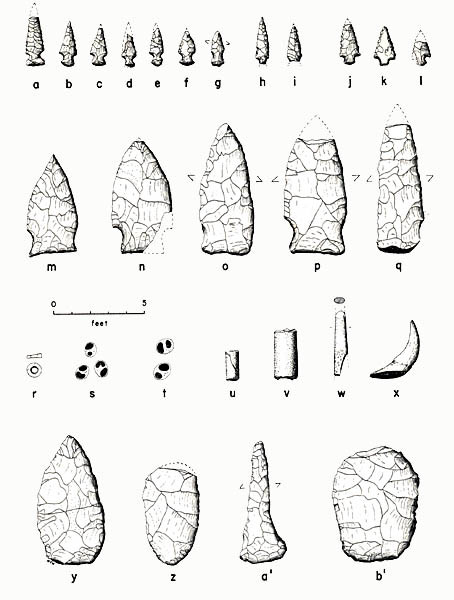 Artifacts excavated from the Karr's Camp Mound (Wood 1967: Figure 22). The most common class of artifacts in the mound were Scallorn arrowpoints (a - l). 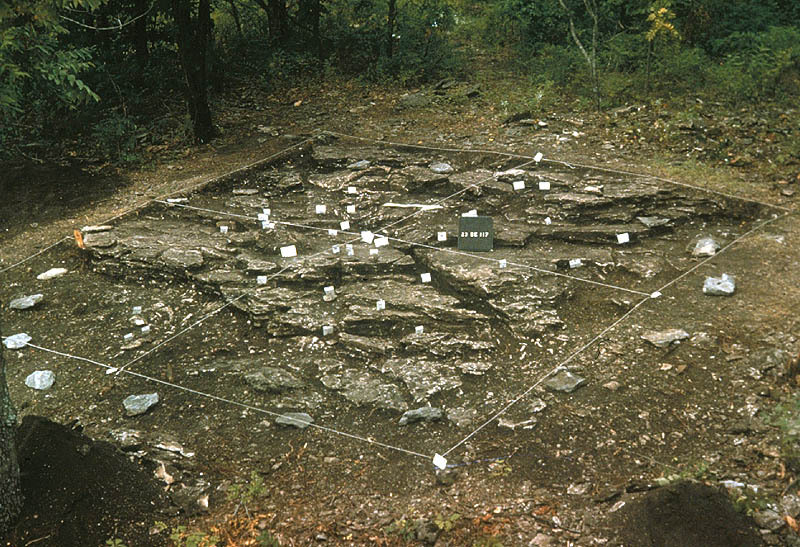 Seven complete or fragmentary Rice Side Notched dart points (m - q) were recovered from the mound. The mound fill included a single conch shell disk bead (r) and 12 Anculosa snail beads (s - t). A cut wolf canine (x) was modified in precisely the same manner as the cut wolf maxilla from the Wray-Martin Mound 1 (Wood 1967:49 - 51). 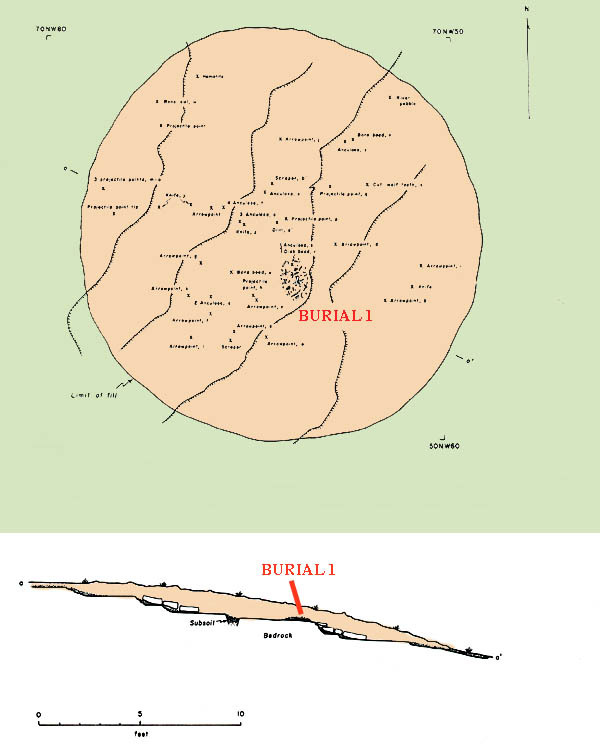 1967 The Fristoe Burial Complex of Southwestern Missouri. Missouri Archaeologist 29. Special thanks to Professor W. Raymond Wood for his permission to create this webpage.